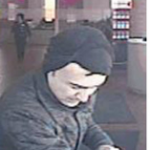 BELLEVILLE – The recent case in which a gun was fired at Quinte Secondary School and a Belleville bank was robbed has been linked to an earlier bank robbery in Markham, Ont. The Belleville police are now working with York Regional Police to try to solve the case, according to a press release Monday by Insp. Michael Callaghan. 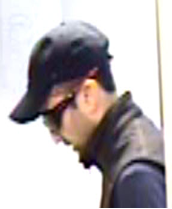 The Markham robbery happened March 4. On March 10, Belleville police were called to Quinte Secondary at 2 p.m. and the school was placed in lockdown until 3:30 p.m. 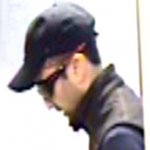 The Royal Bank of Canada branch at 241 Front St. N. was robbed at 2:05 p.m the same day. In a media scrum the day after the incidents, Callaghan said the shots at the school were meant to be a diversion from the bank robbery, and that nobody was harmed in either incident. 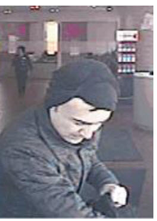 On Monday, Callaghan said police believe that at least two people worked together in both the Belleville and Markham robberies. Anyone with information is urged to call the Belleville Police Tip Line at 613-966-5667, the York Regional Police Hold Up Squad at 1-866-876-5423 or Crime Stoppers at 1-800-222-8477.